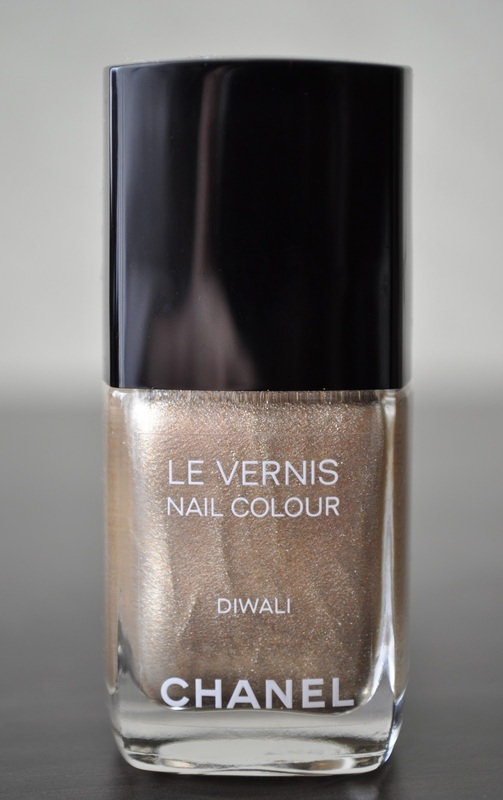 Diwali is a richly pigmented, shimmery, pale silvered-champagne gold with a foiled metallic finish. Almost opaque in one coat, I can't help break my habit of always needing to apply a second coat (you know, for safety measures :P ). I truly adore Diwali! 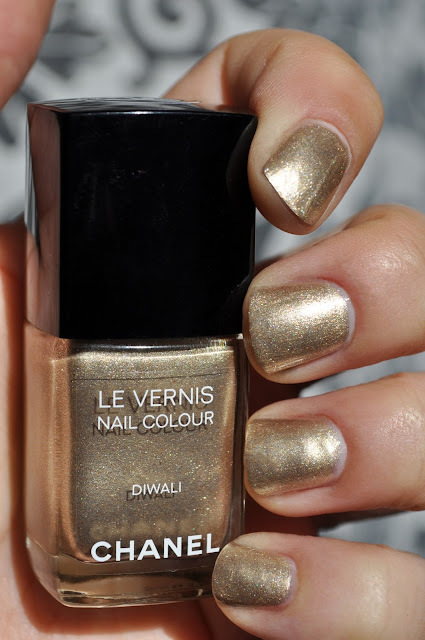 Diwali is a chic metallic polish that can be worn throughout the year, and also by a wide range of skin tones. Also, Diwali was the polish I wore on New Year's Eve :D In my book, this polish is definitely one of the best Chanel lacquers released in 2012. 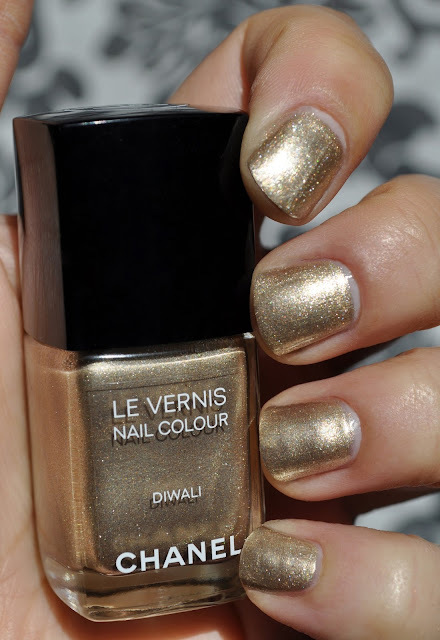 What are some of your favorite Chanel polishes released in 2012? What a fantastic gift to recieve, Quartz is a beautiful polish. Vamp is an all time classic!